Woodland, moorland, gritstone, ancient standing stones, reservoirs this picturesque walk has it all (even a tea shop half way through!). Meeting by the clock outside Tesco, Parrs Wood, East Didsbury, M20 5NP where we will be car sharing. Start walk at 10.30 and finished by 4pm and back in Manchester for 6pm. Woodland, moorland, gritstone, ancient standing stones, reservoirs – this picturesque walk has it all (even a tea shop half way through!). 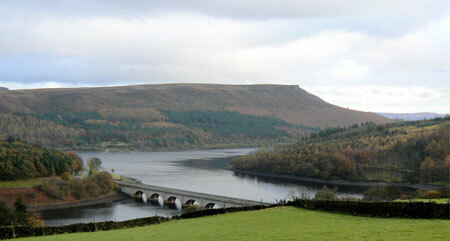 Climbing above the beautiful Ladybower and Dervent Reservoirs, we’ll pass along the picturesque Derwent Edge next to the rugged Wheel Stones and then walk on across the moorland to the highest point along the Edge, the Back Tor (1,765 ft). We’ll then descend down to the reservoir and climb again, this time through the Hagg Side woodland, to enjoy the views of the Hope Valley and Lose Hill area from the top and descend via Crook Hill (1,253 ft) back to the Ladybower Reservoir.